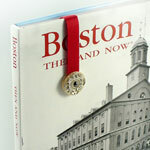 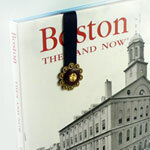 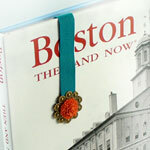 This limited edition Charming Boston string-a-ling bookmark is handmade and signed by the Women's Craft Cooperative in Boston, Massachusetts, a social enterprise at Rosie's Place, the first shelter for poor and homeless women in the United States. 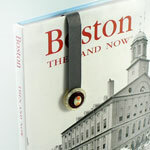 Each piece features a button, a metaphor for connecting. 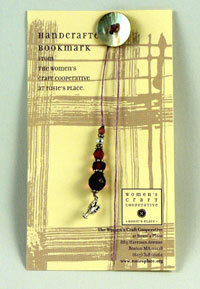 100% of the Women's Craft Cooperative profits benefit Rosie's Place.